We wanted to update readers about the plan for the next ADU Tour. The last ADU tour was a trememdous success, so we’ve decided to run it again next spring. Most likely, it will be in May or June of 2015. Recently permitted and completed ADUs in inner Portland (we’re going to try to cluster the sites to minimize travel time between them). The homeowner must be willing to have their ADU profiled on AccessoryDwellings.org. This involves sharing the design/build costs–so there’s a degree of transparency that is required by the owner. 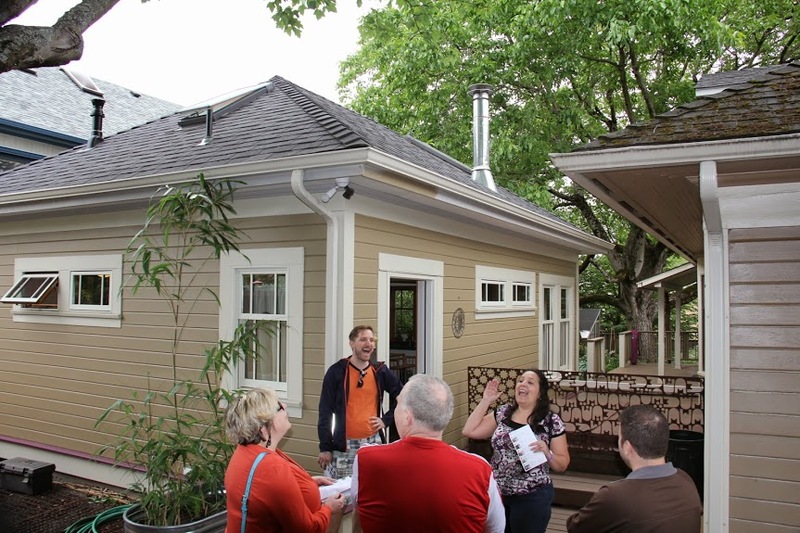 Homeowners who are willing to open their ADU to hundreds and hundreds of visitors. The hosts from the last tour said that hosting was one of the best experiences of their life. Many hosts compared the experience to their wedding day—-no joke. Ideally, we’d like the builders and designers to be at the ADUs during the tour as well, to help answer questions about the project. 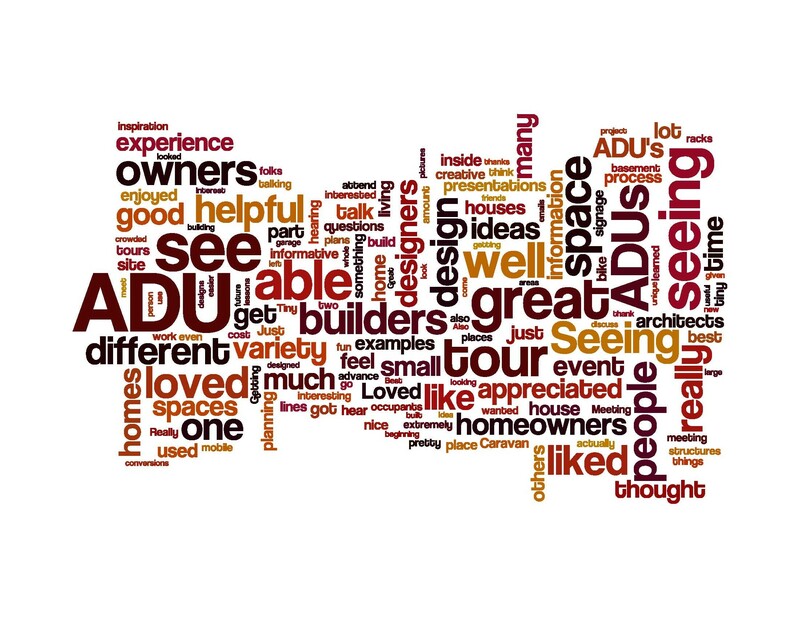 Builders, architects, we encourage you to ask your clients about whether they’d want to have their ADUs on the tour. Some designers and contractors on the last ADU tour got 40+ referrals and there have already been jobs that have resulted from this. Homeowners will be given a $100 cleaning fee to help get their ADU clean for the tour. We’re looking for a lot of ADUs for the tour, so if you are, or you know of, a homeowner whose project would be a good fit, based on the criteria above, please email me at: kol@tinyhousehotel.com . Caravan- The Tiny House Hotel is organizing the tour and will receive registration fees. Acessorydwellings.org is promoting the tour with posts and relevant online resources. Is there a listing of ADUs in Portland available? I’d like to drive by sone of these homes especially those of 3 or more houses. I’m also looking forward to the Spring tour! Judy, I’m glad you’ll be coming to the spring tour. Sorry, we can’t give out addresses except at the time of the tour for attendees. When and where next ADU tour in California? We’ll have our next tour in Portland, Oregon in September. Come if you can. There’s no other tours of this kind anywhere else in the country yet. 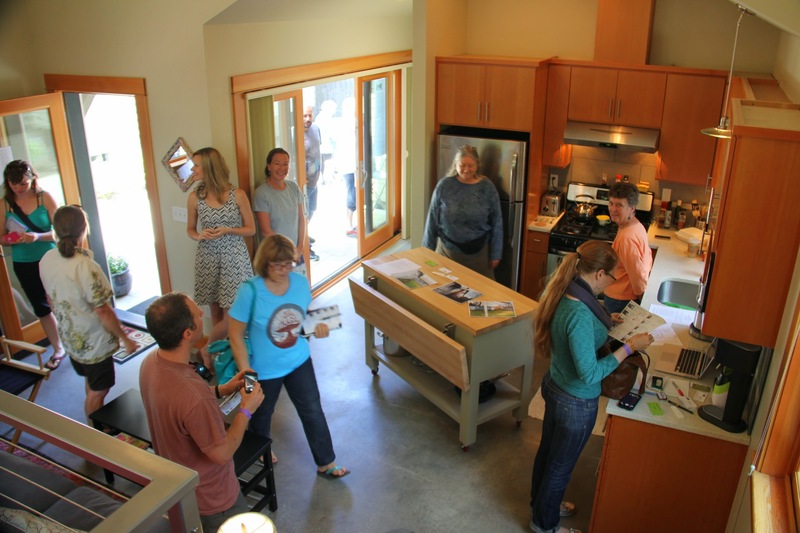 This entry was posted on August 9, 2014 by Kol Peterson in Events, News and tagged accessory dwelling unit, tour.